...or Vinmart Removal and Other Stuff. After last weekend's Assembly for the Betterment of Ponyville, it was decided, by a voting majority, to fully remove the Vinmart structure from the Ponyville Town Square, among other smaller matters. In result of that, the process will begun as soon as possible, Town Hall having already gathered the support of several professional ponies to work for it. 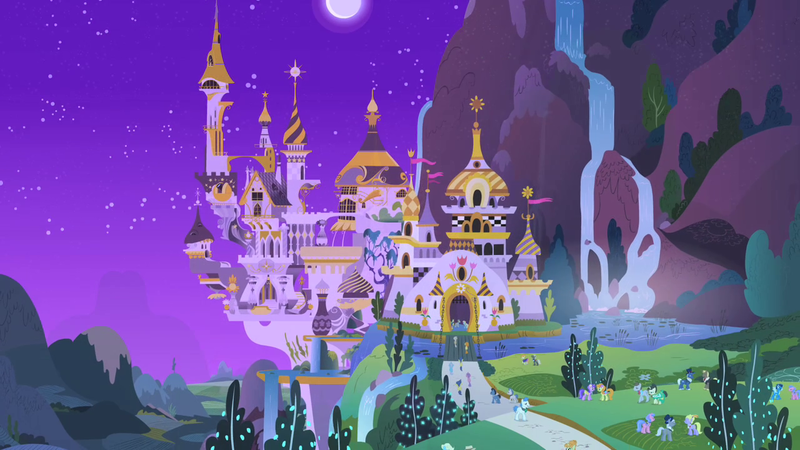 Along with removing the structure, however, Town Hall plans on making the land surrounding it beautiful again, so that it adds to the attractive looks of Ponyville overall. We're looking for help from the community for this; if you have any idea or support to give during your free time in order to achieve this, it will be appreciated! Mainly, we're looking for ponies that can provide a hoof or four by planting trees and flowers, getting rid of weeds and re-grassing the soon-to-be-empty lot of Vinmart. Should you want to lend your aid, please seek out any Town Hall officer, including Mayor_Mare and Kimono, either by letter or in person. With the beginning of spring, it's time to throw out the old and bring in the new! What a better way to do that than participate in the renewal of your home and town? Assembly for the Betterment of Ponyville! During the event, we'd like to discuss the things you think Ponyville needs, as well as project proposals for the year to come. Among other things, we'll discuss pressing matters such as security, beautification and we'll decide the destiny of the long-abandoned site of Vinmart, as well as listen to anypony who has a suggestion to make anything in town more efficient or fun. To present your proposals, or in case you have additional questions, please send a letter to Mayor Mare or make sure to speak up during the event. Ponyville needs you, so we'll be waiting for you! Hey everypony! You ready for some fun? Because we're gonna have some! There'll be snow ball fights and sled races, prizes for both, snacks in between, and lots of fun with friends! If you want to come and join in, just show up at Sweet Apple Acres. You don't even need to bring your own sled but you can if you want that's fine too!